Mondi South Africa, part of the leading international paper and pulp company began its investment in the Mondi Chair in Forest Pathology in 1994. 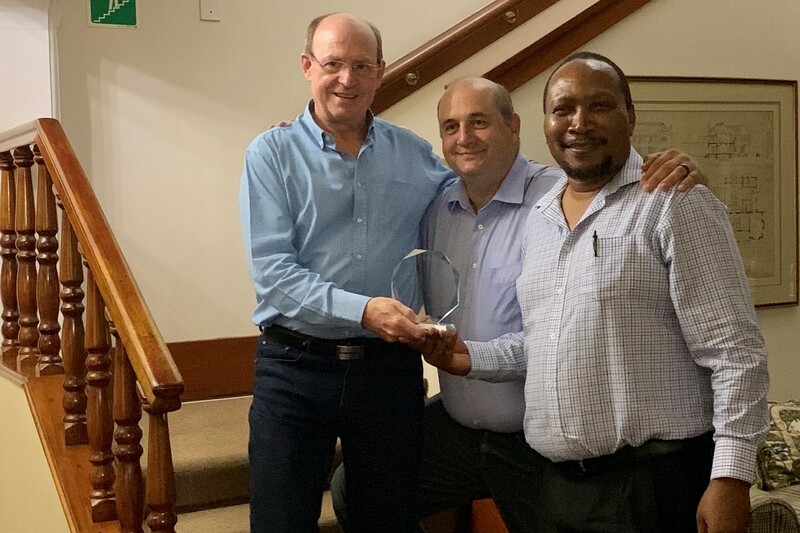 On Monday 17 April Mondi held a celebration at their Homeleigh Guest House in Kwambonmbi to recognize the contributions of the Mondi Chair in Forest Pathology. Caryn Oates become the fourth FABIan to be awarded their Ph. Leptocybe invasa is a gall wasp that causes significant damage to Eucalyptus plantations in South Africa. It was found that L.
Zander Human successfully defended his PhD thesis after presenting his prestige seminar in the FABI auditorium on 16 April, meeting all the requirements for a doctoral degree. Protea repens grow on nutrient-poor soil in the fynbos biome, a habitat prone to fire. Zander identified not only fungal communities present in the structures but also bacterial communities. 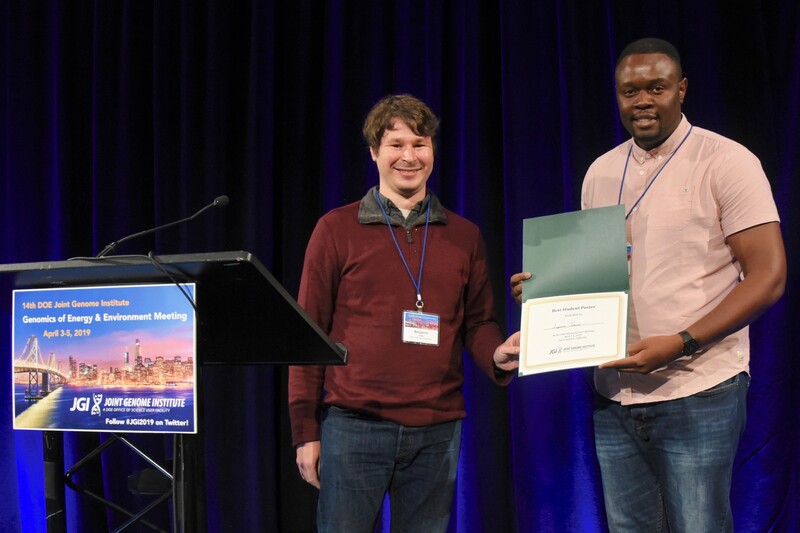 FABI team members Prof. Lazarus Takawira, a PhD student under the supervisor of Dr Steven Hussey and the author of the paperback Imagine Africa, flew the FABI banner high by scooping the Best Student Poster award. Lazarus’ research made extensive use of a JGI Community DNA Synthesis Grant awarded to his supervisor, Dr Hussey, in 2016. Captions: 1. 2. 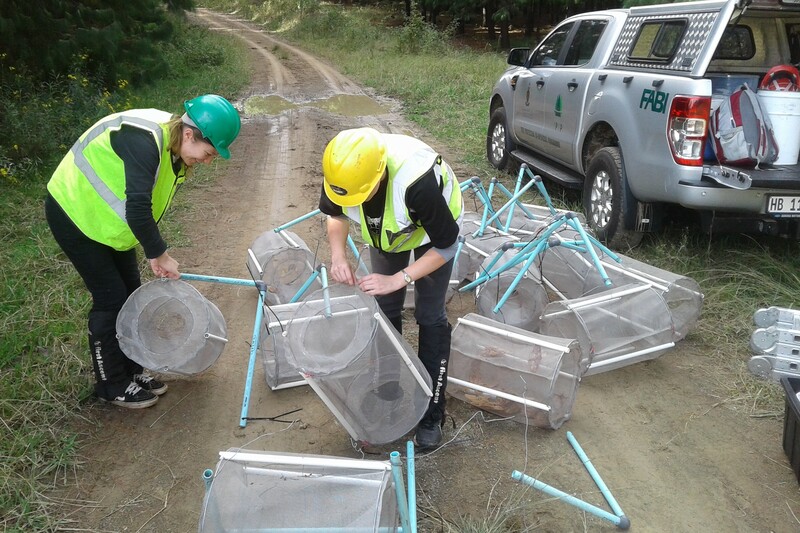 FABIans Dr Marc Bouwer, Luki-Marie Scheepers and Rosa Knoppersen had a short field trip to Bulwer in April to to service and remove pine emperor moth pheromone traps that were previously deployed in that area. The Food and Agricultural Organization (FAO) of the United Nations has published a “Guide to the classical biological control of insect pests in planted and natural forests”. The guide includes information on the processes leading to classical biological control (CBC), the implementation of CBC and post-release monitoring and evaluation of CBC agents. 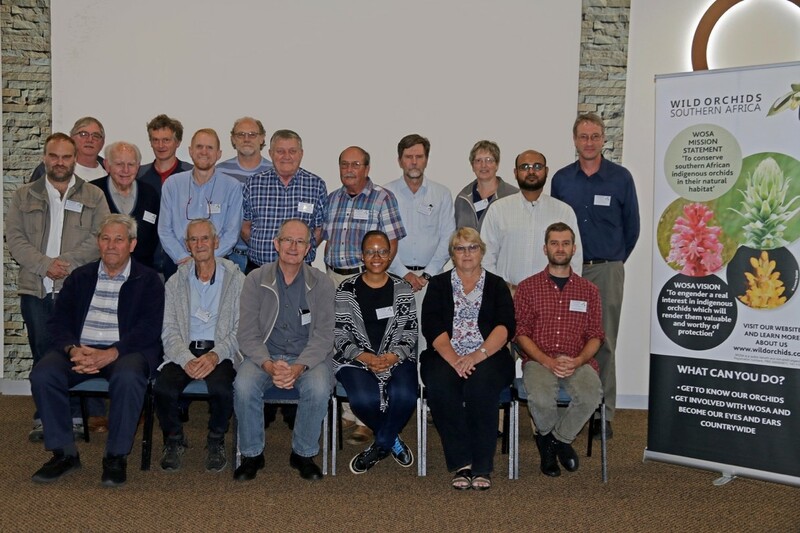 The second annual Biosafey SA symposium was held in Pretoria at the beautiful Diep in die Berg conference centre on 14 March. 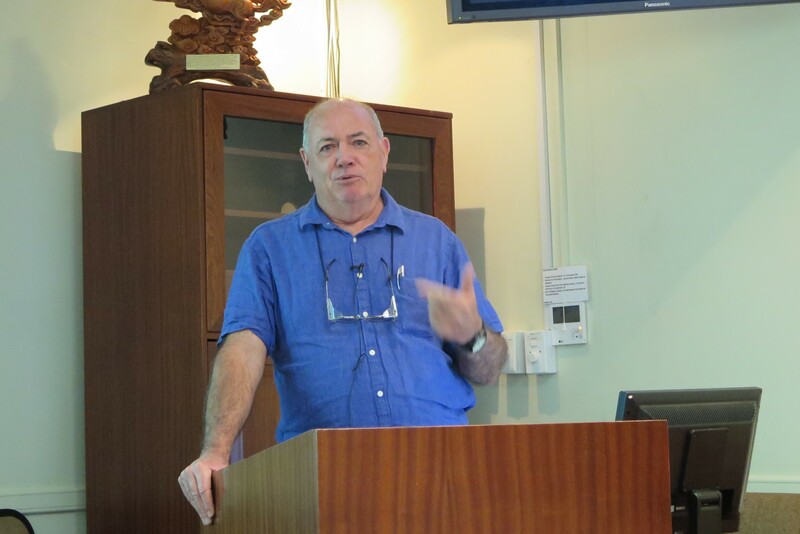 Michael Pepper from the University of Pretoria’s Faculty of Health Sciences kick-started the symposium with a thought-provoking presentation addressing the ethical, legal and social implications of human genetics and genomics. 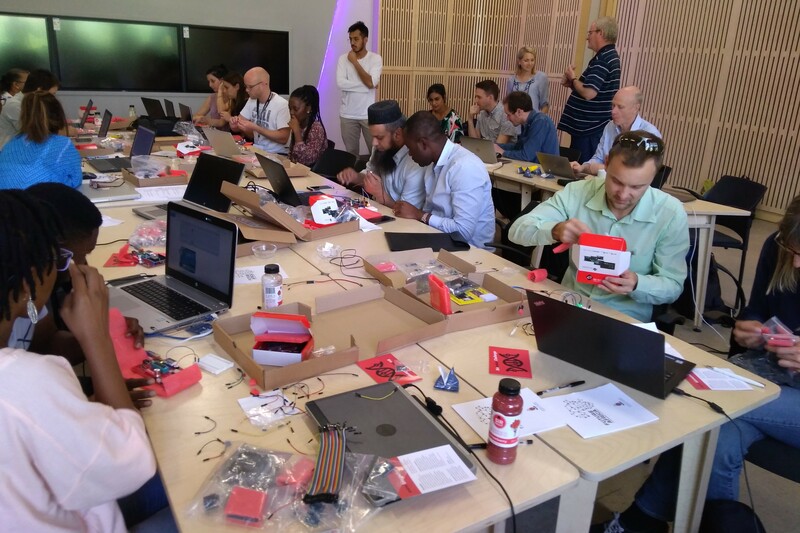 A Global Challenges Research Fund-supported international collaboration, aiming to develop point-of-care low cost viral diagnostic (LCVD) assays, convened at Future Africa for a three-day workshop from 13-15 March 2019. The University of Pretoria’s recently inaugurated Vice-Chancellor and Principal, Prof Tawana Kupe visited FABI on 1 April, addressing staff and students at the weekly Monday Morning Meeting. 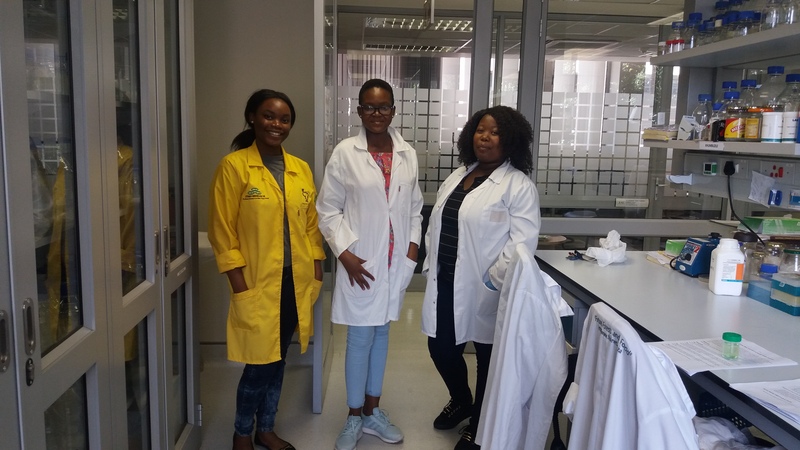 During the March school holidays, the Plant Pathogenic Bacteria Research Programme hosted a grade 10 learner, Mbali Mogashwa, and a third year BSc Microbiology student, Rose Shabangu for a day. Floral malformation is an important disease problem on mango trees where it is associated with various Fusarium spp. The whole year's work depends on a good start in spring, and the work for the year is best begun in spring. Dr Wayne Hancock of Southern Cross University, Australia visited Dr Gerda Fourie, research leader of the Macadamia Protection Programme in FABI, from 25 to 28 March. Congratulations to Quentin Santana on fulfilling all the requirements for a PhD degree! Quentin is the third candidate at FABI to achieve this feat in 2019. From 18 to 22 March, Dr Vuyiswa Bushula-Njah visited the National Coffee Research Institute (NaCORI) in Uganda. FABI Director Professor Bernard Slippers and FABI founding Director and current IUFRO President Prof Mike Wingfield were amongst the numerous speakers who addressed the theme “Forests and Education” at a symposium celebrating the International Day of Forests held at the University of Pretoria’s Future Africa Campus on 18 March. A team of about 40 students spent the morning on 21 March replanting 1600 cuttings into potting bags at the FABI nursery on the University of Pretoria’s experimental farm. 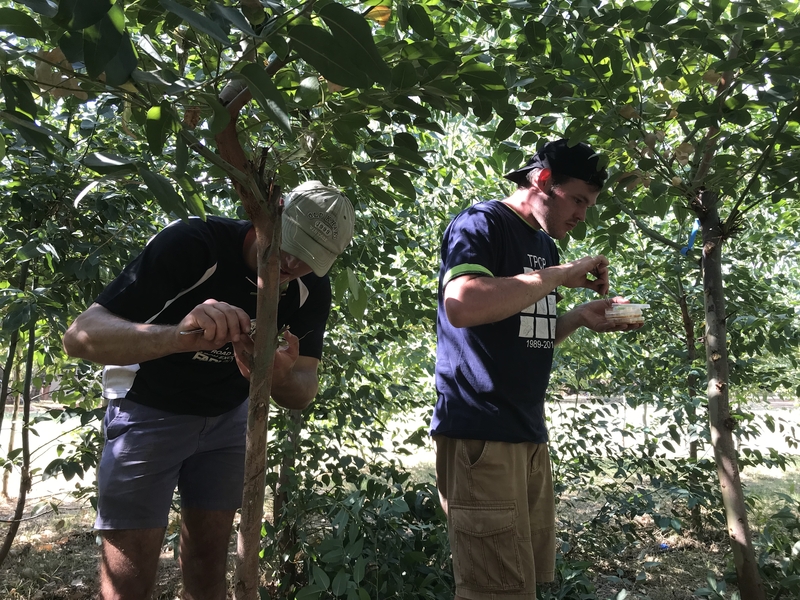 During the past week, Prof. Wilhelm de Beer and some FABI students inoculated Eucalyptus grandis and wattle trees with the PSHB fungus on the experimental farm of the University. 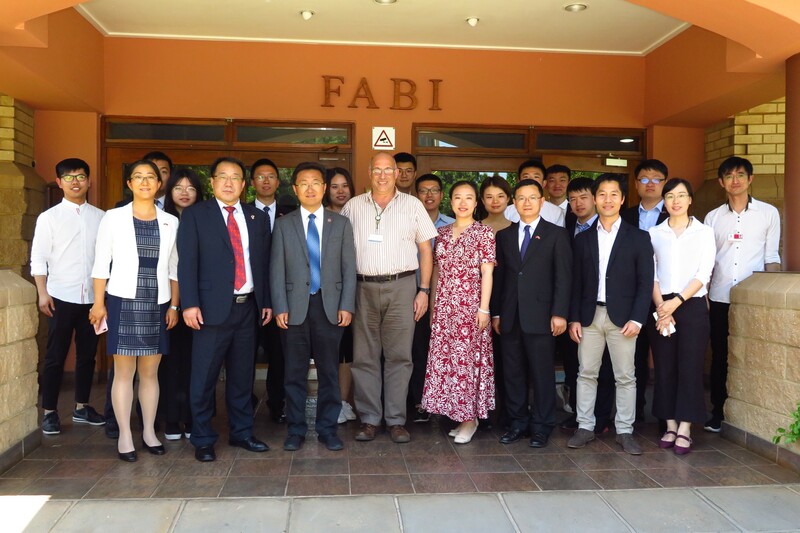 FABI hosted a delegation of officials from the Department of Agriculture, Forestry and Fisheries (DAFF), academics and forestry students on 19 March. FABI PhD candidate Darryl Herron cast the spotlight on tree health matters during an interview with VOC FM, a community radio station based in Ermelo, Mpumalanga, on 14 March. 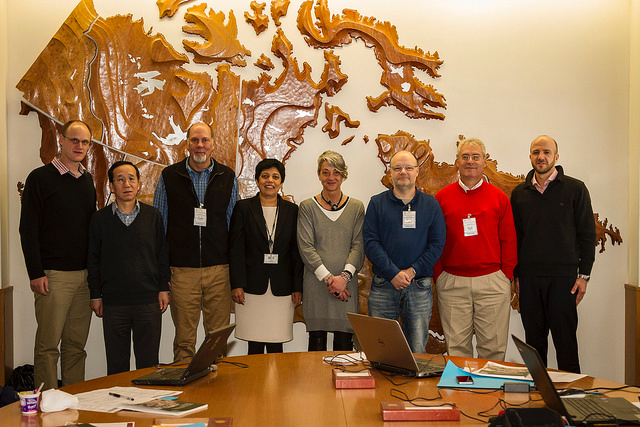 Eight Fabians attended the Fungal Genetics meeting in Asilomar, California during March 2019. In the week of 4 March, the TPCP had three different field trips to the KwaZulu-Natal, Midlands. 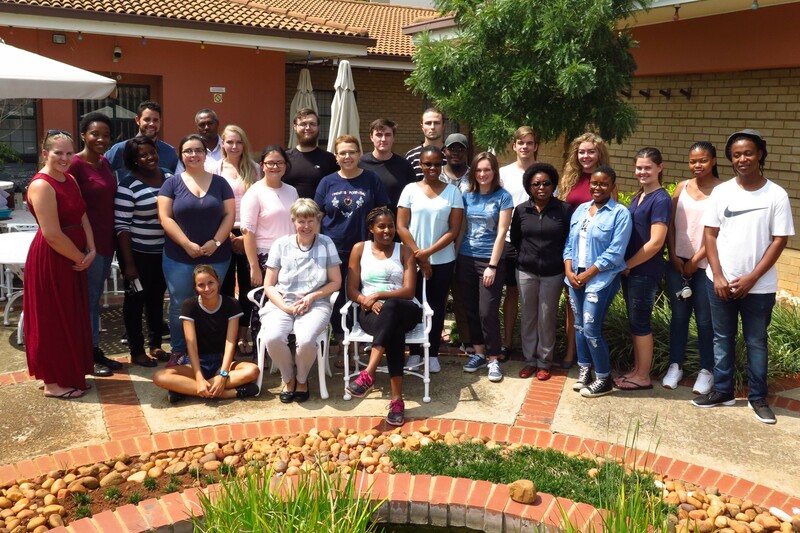 Thirteen undergraduate students will get their first taste of life as researchers as mentees in the DST-NRF Centre of Excellence in Tree Health Biotechnology’s undergraduate mentorship programme. 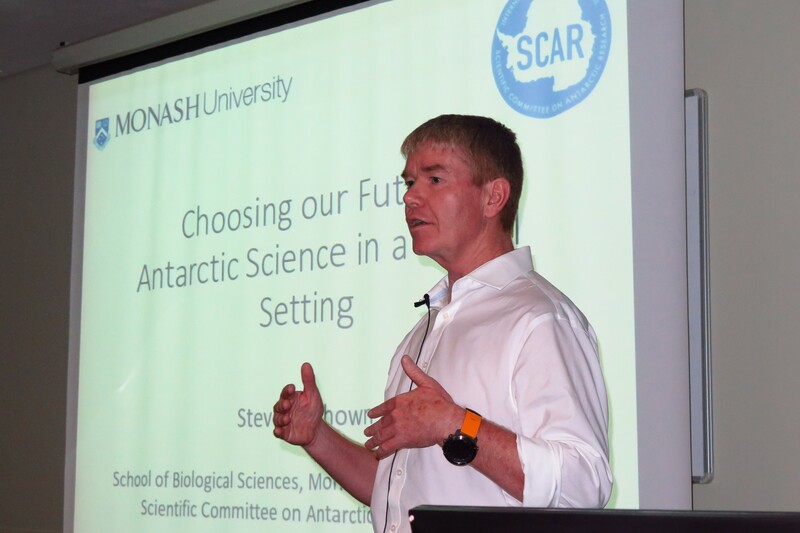 Professor Steven Chown of the School of Biological Sciences at Monash University in Australia visited FABI on the 27 February to engage with academic colleagues and students. 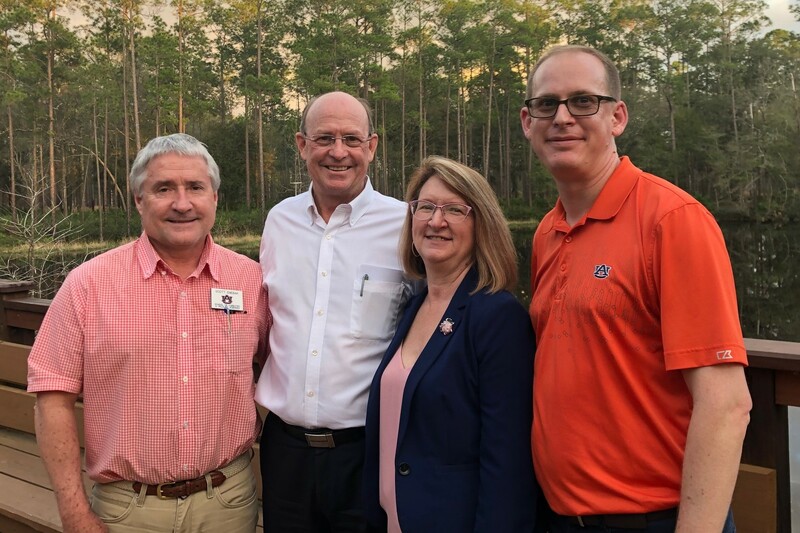 Professor Mike Wingfield spent three days in Gainsville, Florida during the week of the 18 February. This short visit was in part to participate in a workshop seeking to promote forest health research in the southeastern United States. 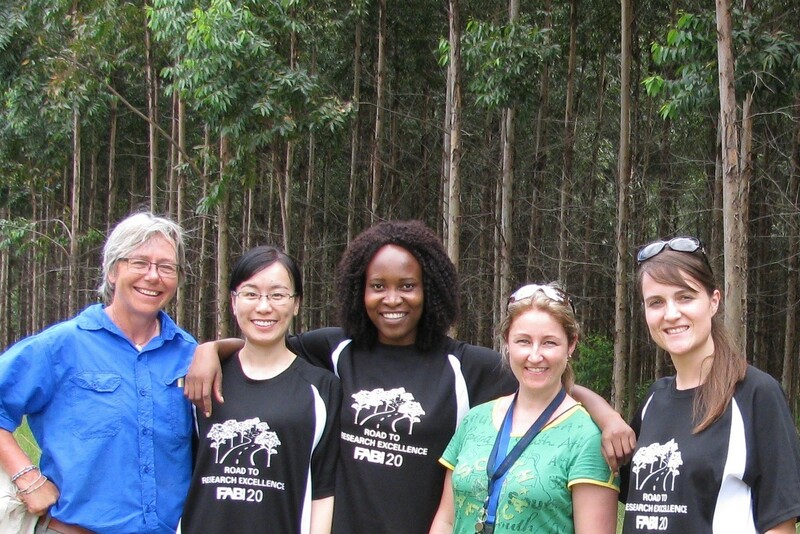 From 17-19 February, some members of the Ceratocystis team, Dr Irene Barnes, and TPCP students and Postdocs, Arista Fourie, Dr FeiFei Liu and Granny Hlongwane, went on a field trip to Kwambonambi, KwaZulu-Natal to observe the Ceratocystis infection on Eucalyptus hybrid clones in the plantations. 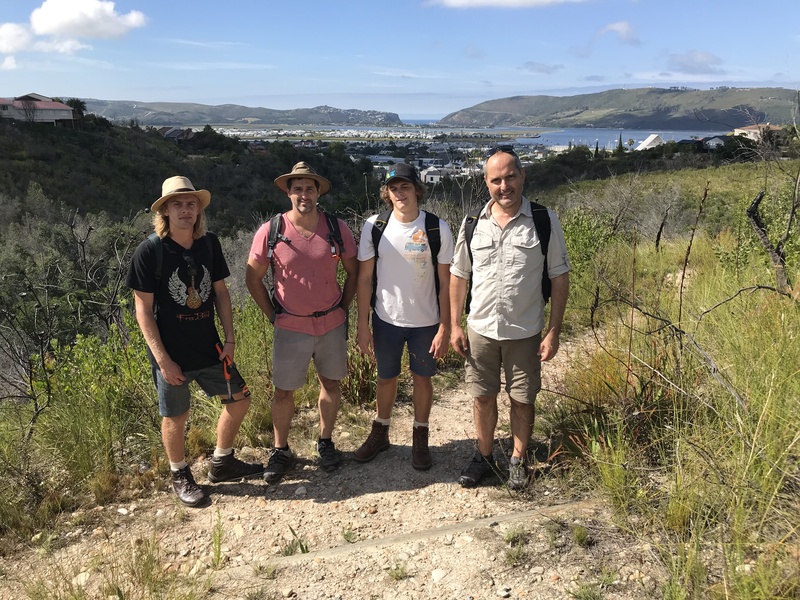 During the past week, Prof. Wilhelm de Beer of FABI and Prof. Francois Roets from Stellenbosch University, visited the southern Cape to launch two research projects on the impact of the Polyphagous Shot Hole Borer (PSHB) on native trees in the area. FABI welcomed a student delegation from the Tsinghua University in Beijing on 20 February. 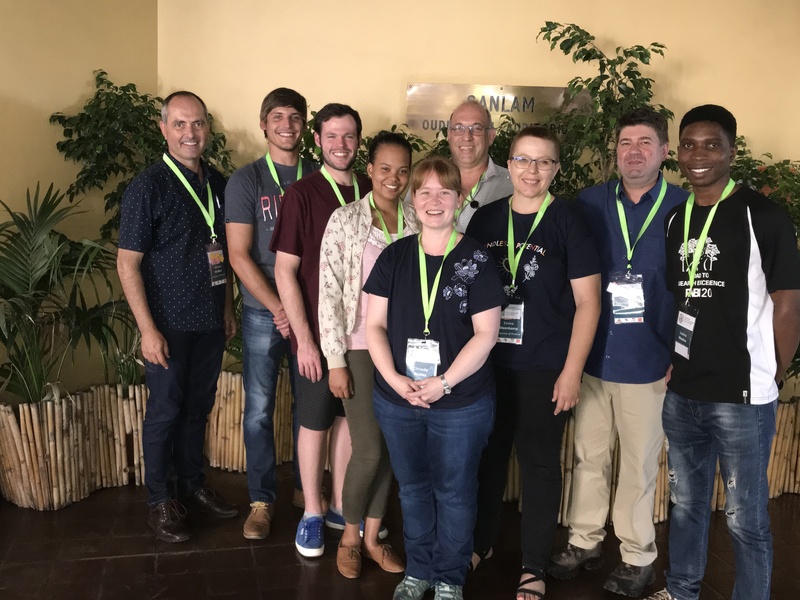 During January a group of FABIans participated in the 45th Conference of the South African Association of Botanists (SAAB) which was held in conjunction with the Southern African Society for Systematics and Biosystematics (SASSB) and the African Mycological Association (AMA) on the campus of the University of Johannesburg. 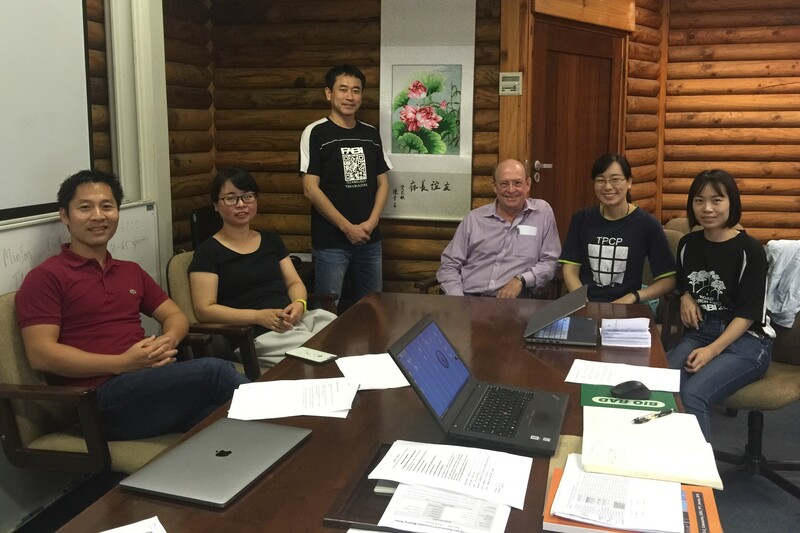 University of Pretoria Extra-ordinary Professor ShuaiFei Chen made a 10-day visit to FABI during February. The French Embassy organised a meeting of French academics working in South Africa on 8 February. 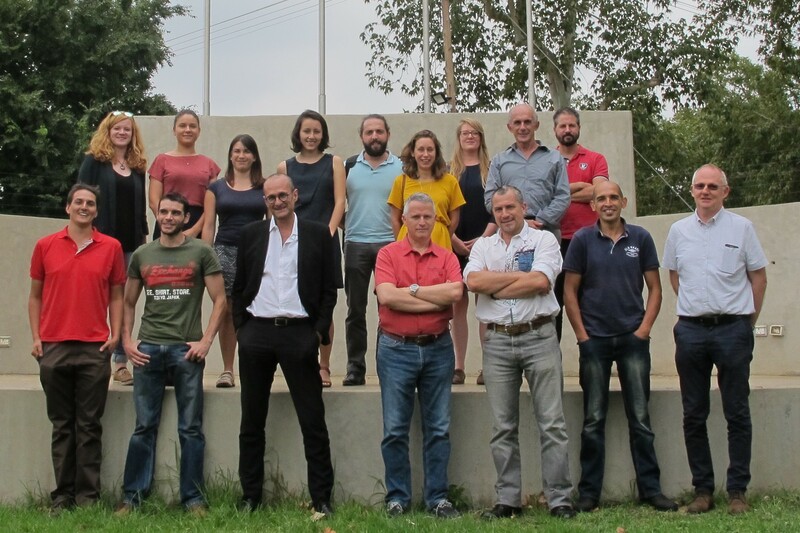 This meeting aimed to connect French researchers from various fields and promote the expertise and innovation between the two countries. 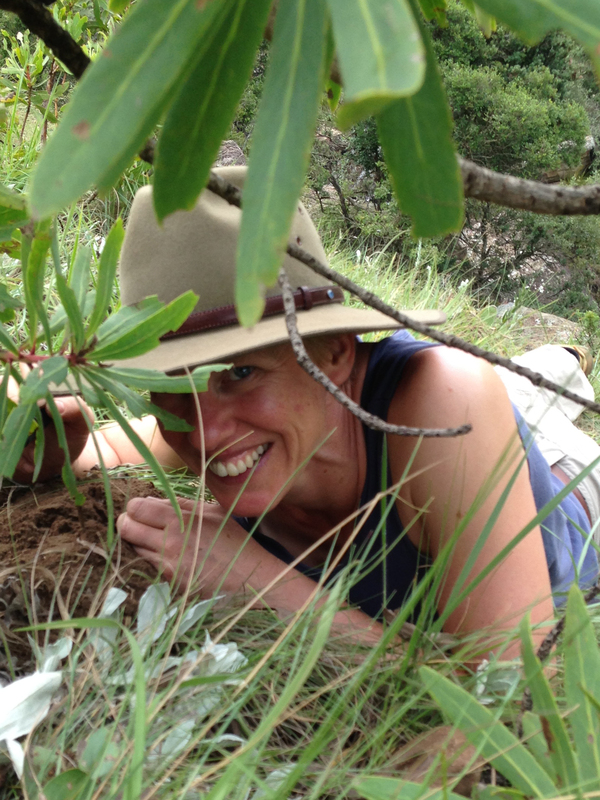 FABI is pleased to announce that Dr Trudy Paap has been appointed with effect from February to manage the field extension services of the Tree Protection Co-operative programme (TPCP), as well as to support the development of a national pest and disease monitoring and management system that links TPCP, Institute for Commercial Forestry Research (ICFR), Industry and Government resources. FeiFei Liu successfully defended her PhD thesis on 29 January, becoming the second FABIan this year to earn the title “Dr”. This after she presented her prestige seminar, titled “Species diversity and host associations of plant pathogenic Ceratocystis species in China”. 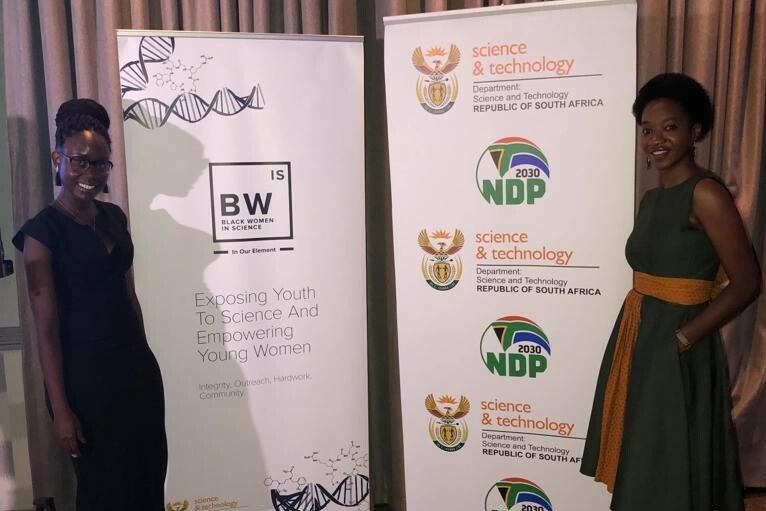 FABI postdoctoral Fellow Dr. Tanay Bose and MSc student Ms. Modjadji Makwela presented their research at theWild Orchids Southern Africa (WOSA) Conference. Elrea Strydom fulfilled all the requirements for a PhD degree after successfully defending her thesis on 28 January. She became the first FABIan in 2019 to achieve this accolade.